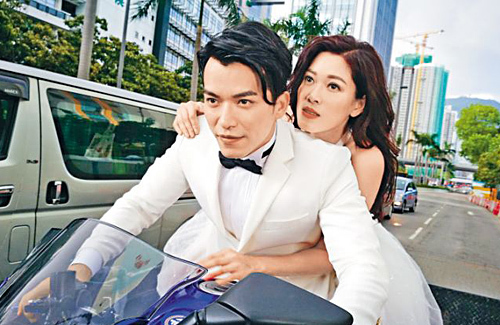 Will Mandy Lam and Jack Hui End Up Together in “Come Home Love”? Mandy and Jack hope they can continue to bring viewers cheer with their onscreen performances. 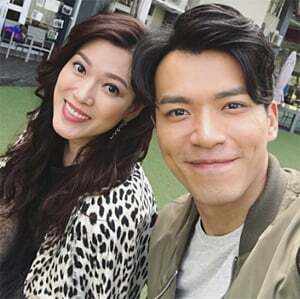 As the most celebrated couple to emerge out of popular long-running series Come Home Love: Lo and Behold <愛．回家之開心速遞>, Mandy Lam (林淑敏) and Jack Hui (許家傑) hope their onscreen performances can continue to bring much joy to viewers in the coming year. As for the continued popularity of their onscreen pairing, both actors expressed gratefulness for the opportunity to star in the roles, while not forgetting to highlight other pairings in the drama, which focus on kinship and friendship in addition to romance. In addition, they also hope that dramatic developments onscreen can inspire viewers to reflect further on certain social issues encountered in real life. A gentle, refined person, Mandy in real life is very different from Dai Siu Jeh, who is domineering and makes herself heard. Laughing, the 42 year-old says playing the role has been hard on her throat, while she expresses her appreciation to TVB for entrusting her with various roles, through which she was able to gain valuable acting experience to hone her craft further. Not minding whichever role she gets, Mandy sees each as a stepping stone and learning opportunity. Jack also feels that Mandy and her onscreen persona Dai Siu Jeh are poles apart. As for himself, he says he is not as good at approaching women as Water Fai. Although being brought up by his mother and grandmother means he holds much respect for women. Also a filial son, the 35 year-old hopes to tap on the success of Sung Shui Fai which has brought him many more working opportunities to upgrade his family’s living conditions.